I saw in one of Julie’s recent posts that she’s looking for an EDC flashlight. I’m sure this little flashlight from Perpetual Kid isn’t what she’s looking for, but I think it might make a cute little stocking stuffer. 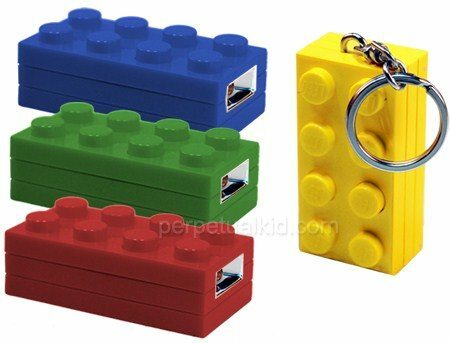 This LEGO Block Key Light measures 2.2″ long x 1.2″ wide x .8″ tall, and it has one white LED light. It comes with a keychain, so you can always keep it handy. You can take your choice of red, green, blue, and yellow for $9.99 each. If you buy all four, you can even stack them like the normal LEGO blocks. Oh my goodness!!! This is PERFECT for my kiddo! !